For information on how to design these advisories, read the Designing Advisories entry. 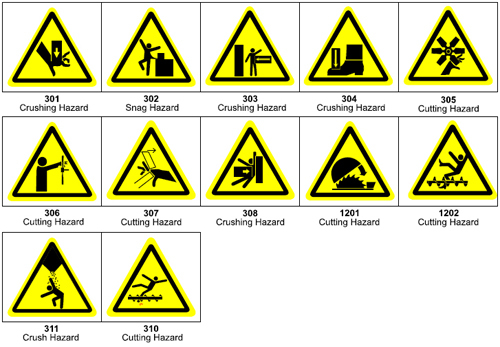 Figure 1- Graphic Warnings “Pictograms.” strancoinc.com. Photo. 9 April 2012. Signal words convey specific messages to the reader. Use the information below to determine which type of advisory to use. Figure 2- ANSI Caution graphic “Caution.” safetylabelsolutions.com. Photo. 9 April 2012. 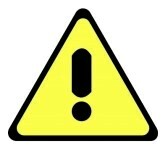 Figure 4- ANSI Warning Graphic “Warning.” safetylabelsolutions.com. 9 April 2012. Figure 5- ANSI Danger Graphic “Danger.” safetylabelsolutions.com. Photo. 9 April 2012. Adams, Matthew, and Kenneth Ross. "Legally Adequate Warning Labels: A Conundrum for Every Manufacturer." Product Liability Prevention. 1998. Web. 24 Apr. 2012. <http://www.productliabilityprevention.com/images/6-LegallyAdequateWarningLabelsAConundrumforEveryManufacturer.pdf> This article describes how to write warning labels that meet legal guidelines. It also explains how to evaluate the adequacy of a warning. "ANSI Safety Labels." MySafetyLabels.com. Web. 24 Apr. 2012. One can view and buy ANSI safety labels on this site. Houp, Kenneth W., Thomas E. Pearsall, Elizabeth Tebeaux, and Sam Dragga. "Warnings." Reporting Technical Information. New York. : Oxford UP, 2002. 252,516-20. Print. This book explains the importance of warnings and the types of warnings one can use. It also lists examples of pictorial and written warnings that one can model their own after. Robinson, Patricia A., and Ryn Etter. "Chapter 6: Safety Warnings." Writing and Designing Manuals. 3rd ed. Boca Raton: CRC, 2000. 121-40. Print. This book includes a comprehensive guide to specific types of warnings, how they should be formatted, and legal guidelines. It also includes examples and pictures of advisories. Ross, Kenneth. "Location of Warnings: On Product or in the Manual?" Product Liability Prevention. Defense Research Institute, Inc. 2008. Web. 24 Apr. 2012. <http://www.productliabilityprevention.com/images/1-LocationofWarningsOnProductorintheManual.pdf> This article discusses the difference between warnings in the manual and warnings physically on products. Tinsley, David. "Warnings, Cautions, Notes, and Disclaimers." The Quill: Volume 15 Number 8 (May 2004). The Southwestern Ontario Chapter of the Society for Technical Writing. Web. 24 Apr. 2012. <http://www.stc-soc.org/quill/2004-05/warnings.html> This site from the Southwestern Ontario Chapter of the Society for Technical Writing explains the functions of advisories, information on where to locate them, and specific guidelines for each type of advisory.